Brighten your holidays with these d-licious Eggless Coconut cookies that are the perfect grab-and-go kind of cookies. Super easy to make, crispy, and surprisingly addictive! Every year, I try to bake treats for my little trick and treaters. This year, on Halloween they will be greeted with Eggless Coconut cookies…. Yum! These cookies are incredibly simple to make, and they’ve been tested and tried in my kitchen with just one goal in mind – bake without a doubt! These delicious cookies use just a handful of ingredients and can be perfectly paired with your evening tea or coffee. Each bite you take will just melt-in-your-mouth and awaken your taste buds. All thanks to the secret ingredient – desiccated coconut. The goodness doesn’t end here. With every bite that you take, the flavor lingers in your mouth, and that leaves you craving for more. Doesn’t that sound yummy? and is well balanced, with just the right amount of sweetness! What more can you ask for in a cookie? It’s that gooooooood!! 1 ounce of coconut provides 38 grams of dietary fiber. It’s that good and healthy then why not include it in our diet? Besides nutrition, it’s easy to store in the refrigerator for months without spoiling and comes in real handy. How to Make Eggless Cococnut Cookies? The process of making these eggless coconut cookies is straightforward. Just combine all the ingredients in a bowl and make a soft dough. Chill the dough in the refrigerator for at least 30 minutes to 1 hr. This step is important. Please do not skip this step. butter will not melt as soon as the cookies hit the oven. Whereas, an un-chilled dough will make the cookies to spread causing a distorted shape. So, chilling a cookie dough is a significant step. Shape and bake as directed. Do give this fantastic cookie recipe a try. Believe me once tasted; you will be driven to make them more often. These Eggless Coconut cookies are a thumbs up for my family. If you happen to make this recipe, then share your comments below. Would love to hear back from you! Assemble dry ingredients. Flour, baking soda, salt and baking powder. If there are leftover lumps, in the end, press them against the strainer using a spatula. Set it aside. In a mixing bowl, add butter and sugar. Preheat the oven to 300 degrees F.
Mix until it forms a soft dough. The dough should not be sticky or runny. Shape as logs. Wrap cookie dough in a plastic wrap and chill in the refrigerator for 30 minutes as the dough performs best when chilled. Not only a chilled dough is easier to handle; it also boosts up the flavor and texture of a cookie. Please see notes above. DO NOT SKIP THIS STEP. Take chilled dough logs out of the refrigerator and cut in the desired shape. All set and we are just few minutes away from baking this goodies. Start arranging the cookies on the greased baking sheet. I have baked two batches - one is a lighter batch baked for 12- 15 minutes and another one is a darker batch baked for 15-20 minutes. Once out of the oven they will still be soft and gooey. No worries. Let it sit for a while and they will become firm. Bursting with flavor, these cookies will just melt away in your mouth. Crispy cookies are ready to be eaten. - Baking time may vary, depending on the size of the cookies and oven temperatures. - My baking time was 18 minutes until they started to turn golden. Abhilasha, did you chill the dough before baking? I am trying to bake cookies for the first time. Was confused about the coconut .. shall i use dry grated coconut or the fresh grated coconut… coz coconuts are available at home itself…. I tried the cookies but they are too soft what can I do to make them better. The cookies are soft when freshly baked but they should become firm after some time. Are they still soft? Madhavi, I have not tried it myself but feel free to experiment. What is your 1 measuring cup in grams ? Please use the Metric conversion at the bottom of the ingredient list and it will calculate the recipe in grams for you. I made these with rice milk, earth balance vegan butter, and gluten free flour. They did not keep their shape when I baked them as they spread out. However , they taste amazing and are perfect!! Thanks for sharing your feedback with me, Chasity! I believe the main reason behind cookies not holding its shape is the gluten-free flour. To hold its shape (with gluten-free flour), this recipe would require a teaspoon of xanthan gum or cornstarch or arrowroot flour or agar-agar. I tried these today..and they have come out awesome..thanks so much. Thank you, Supriya for your feedback. Hi Ruchi.. I have done this recipe twice. It’s yummy and tasty. All my family members loved it. When I bake the first tray, I baked for 15 mins, it was not browned on top and so I kept another 5 mins. But I didn’t get desired color as I opened the oven. (I also got current cut while baking, so I don’t know the timing of baking) I was keeping 2 times 5 mins, 5 mins. But it was not good. When I bake the second tray, I kept 20 mins and it came awesome. Opening oven in between won’t get the real taste and colour…??? Thank you for your feedback, Sugarna! Agree. For this recipe, turning the cookies midway is not required. Hi Ruchi.. I am going to bake tomorrow. I am not having baking soda and having only baking powder. Can I use baking powder alone? Sugarna, you can use baking soda and baking powder interchangeably for many recipes but unfortunately not for this one. Extra baking powder in this recipe will result in softer cookies. Thanks Ruchi for your immediate reply. I have bought baking soda. I hope cookies will come good tomorrow. Follow the recipe and chill the dough before baking. You will get great results. Hai Ruchi… I am going to try this for my son’s birthday. Can I use cookie cutter and make different shapes. If so, after cutiing in different shapes, should I again need to keep in fridge before baking? Sure you can use a cookie cutter to shape these cookies. You need to refrigerate the dough once. You can refrigerate the dough before using a cookie cutter. Hi I would love to try your recipe..looks very interesting. Can I decorate it with royal icing? Hi Richie today was my first attempt at making cookies and following your recipe was very easy. Made over 100 biscuits and it turned out to be a complete success! I forgot to use pinch of salt but it didn’t matter as I used salted butter and little less then one cup sugar. Thank you for inspiring me. 100 cookies, your kitchen must be smelling so good. Can i use home made ghee… N whisk with a hand whisker? Rita, I would not suggest ghee because of it’s strong aroma and consistency. Also, this recipe requires creaming of butter and sugar and ghee will fail to do so. I think you can, please refer to your appliance manual for more details. I want to bake them in microwave mode on high power for 2-3 minutes. Will it be sufficient?? I think you can. As stated earlier please refer to your cooking manual for baking times. Sorry dear, I have no experience with microwave baking. Hey!! should we use softened butter?can we make the dough using a hand whisk? Yes, please use softened butter. You can knead the dough with hand. Thanks for sharing this recipe. I made these cookies today. It was so soft and crisp. Just melted in the mouth. Got over in a jiffy. Thanks for sharing your feedback with me, glad you liked the cookies! Homemade goods are always loved as they are baked with care. So, go ahead with your plans. Sorry dear, I have no idea about the pricing part so can’t help you much here. Thanks for your kind words, Jagruti! At present I don’t have a recipe for strawberry cookies, will keep your request on my list. Hello! These are in the oven now and they look and smell delicious! One question though – my oven is at 300 as directed… and the cookies have been in for 20 minutes and are barely golden on the bottom – definitely not done yet. I’ve always baked cookies at 350… is there a reason why these are cooked lower? Thanks! I have baked these cookies at various temperatures in 25°F increments and 300 degrees gave me perfect results. This is what I learned – when baked at a lower temperature, coconut cookies bake more evenly and that’s why they are baked at 300 degrees F.
Keep me posted how yours turn out to be. Thanks for the awesome recipe. Cookies are soooo yummy..
Can we prepare the dough in the morning,refrigerate it and bake cookies at night/next day? Can we prepare the dough in the morning, refrigerate it and bake cookies at night/next day? Can u freeze the cookie batter . Can these be prepared in a pressure cooker, filling the base with salt, preheating it for 10 to 15 minutes & then bake them in an aluminium tray? Haven’t tried it that way but feel free to give it a try. Hey ruchi ! Sugar here refers to powdered sugar ? I have not tried these cookies with sugar-free substitute. Sugar provides brown color, texture and crunch to these cookies. Coconut cookies may lose its texture and may turn dense if substituted with other sugar. Just my two cents! Tried with palm sugar and it turned out to be yummy… Haven’t tasted cookies this good. Thanks for the recipe. Pleasure is all mine, Anu! YUM! These cookies look amazing and perfect for Christmas! Can I use dry coconut? Sure you can. This recipe uses dried/shredded coconut. Haven’t tried this recipe with oil. I would not suggest substituting ghee for butter because ghee has a different aroma and consistency. Also, this recipe requires creaming of butter and sugar together and ghee will fail to do so. Sorry dear I have no idea about an airfryer so can’t help you much here. 3. Oven temperature too high. The simple solution is to bake at a slightly lower temperature. Hi Ruchi. I tried these cookies today and they flattened out while baking. What could have been the possible problem? Did you chill the cookie dough before baking? Yes I did just as mentioned in the post for an hour. Though they came out yummy they did spread a little. Pooja in that case, the main reason cookies spread was oven not hot enough. Haven’t tried this recipe with gluten-free flours so can’t comment on the end results. A lot of adjustments would be needed in the recipe. Hi miss, can I know how long can this biscuits be lasted? I’m planning to bake it roughly 1 month before the events, will it get spoiled? I am not sure about that long but these cookies will stay good for 2-3 weeks in an airtight container. Thank you Didi , for the detailed recipe and steps . These cookies are a family favourite. Pleasure is all mine Vibha! Can we keep the dough in fridge overnight Nd bake it next day ?? I have tried these cookies with all purpose flour i.e maida n theycame out v.good. just wanted to ask for healthier option if i substitute maida with wholewheat flour completely , will there be change in any measurement of other ingredients used like baking powder, soda n milk. Rashmi, thanks for your feedback. Really appreciate it. Haven’t tried these cookies with wheat flour so can’t comment on the end results. Hi Ruchi am going to try baking for the 1’st time and this receipe seems easy , one question however can I use dried coconut instead of fresh decicated coconut. Yes, you can. I have used dried coconut in this recipe. OMG!!!!! I’ve tried the recipe . Its aeesome and i love it. How much is 1 cup butter in grams? Atiya, 1 cup butter is 225 grams which equals 2 butter sticks. Lovely recipe. Can i know if its salted or unsalted butter? Thank you! Sruti, I have used unsalted butter. Rithika, you can give it a try. FYI, if you are using salted butter then there is no control on how much salt will go in the recipe. As a result of which, you may get a mild salty taste in your cookies. Hi, This recipe looks so good, i will be trying it out very soon. Can I ask, what did you use to make those pretty flower shapes for the cookies, they looks so cute. Nidhi, my apologizes for the late reply. Somehow your query ended up in my junk folder. Sorry to hear that this recipe didn’t work the way you had imagined. Reason for soft and cakey cookies is – over beating of the dough. Over mixing of butter and sugar results in cakey textured cookies. If you beat butter + sugar for a long time, you beat in air which results in soggy cookies. Hope this answers your query. Please give it a try again as it’s important for me that you enjoy the cookies the same way as I do and many others who have successfully made it. Beautiful cookies, I have tested and tried them many times and they always give me the best coconut cookies ever. Perfect for tea time. I have recreated the recipe and posted on my blog. Do visit my blog when you can. Thanks Ruchi for sharing this lovely treat and your post is really detailed and well written. You have a great blog with lots of yum collection!! Pleasure is all mine Sathya! Thank you so much for you lovely words of appreciation ! Means a lot! Nidhir, you can cook the cookies in the convention mode of your microwave. Please refer your appliance instruction manual for more details. I tried my hands in this recipe..
I’m going to try it within a day or two. Can I make it in air fryer as I don’t have otg. I do make so many roasted snacks in air fryer & it turns out great like chakali , matharis masala puri etc. Even samosas & kachories also turns out superb in air fryer. My apologies Ina, I have never used an air fryer so can’t comment on the end results. This is something you have to experiment on your own. Good luck! Can i replace 2 cups whole wheat atta with 1 cup whole wheat atta + 1 cup oats atta,. also can i use ghee instead of butter. But these are delicious i am definetly giving it a try. Thanks for stopping by Madhuri. Partial substitution of wheat flour and oats flour should be okay. Though I have not tried with oats flour but I think it should work just fine. You may also need to adjust the liquid slightly to compensate. Amazing, what can I say!! Delicious! However I do have one question. We are quite healthy and I prefer to add less sugar in cakes and biscuits generally, but the taste of butter was overwhelming for me. I prefer not to taste it…. ! I usually use margarine but didn’t have enough so used butter. But if I was to switch it to margarine would I still taste the buttery flavour in the cookies? Also, if I reduce the amount of , margarine in this recipe what happens? As my cookies were perfectly crunchy and if they were slightly less crunchy I don’t mind. They weren’t burnt by the way I assume it’s the butter that gave them the crunch? Thanks for trying the recipe Rita. I have experimented with margarine in the past but the results were nowhere close to the cookies made with butter. – And they failed to develop a crispy and crunchier crust. Cookies made with butter has a crunchier crumb and are less moist. Compared to butter, margarine obviously lacks the buttery flavor in these cookies and the taste and texture was also very different. Hope this answers your query! Thanks for stopping by Vandana! For this recipe, I would not suggest substituting oil for butter as the cookies will become flat. Hi ruchi…like your recipe,,here 1.5cup desiccated coconut means 1/2 cup? Great recipe.. I tried many times and it is perfect coconut cookie. I have added chocolate chips for half. Turned it great. Thanks for trying the recipe Siya. Glad to hear you liked it. I still have to add choco chips to this recipe and experiment..sounds yum!! Hi ruchi can we use ghee or vanaspati as substitute to butter…will it affect the taste or texture of cookies? Thanks for stopping by! Ghee or vanaspati may leave a strong flavor in the cookies. Texture will not be affected. Can I use fresh shredded coconut instead of desiccated coconut & margarine instead of butter? Thanks for stopping by Flowie. I personally have not experimented with fresh coconut. Recipe may require some adjustment if substituting fresh coconut with the dried one. The liquid present in fresh shredded coconut may throw the whole recipe off balance and you may end up with flat spread out cookies. Sorry about that, wish I could help you more here. And yes, you can substitute margarine for butter. 1. Old baking powder/baking soda. 2. If melted butter is added to the cookie dough, cookies go flat. 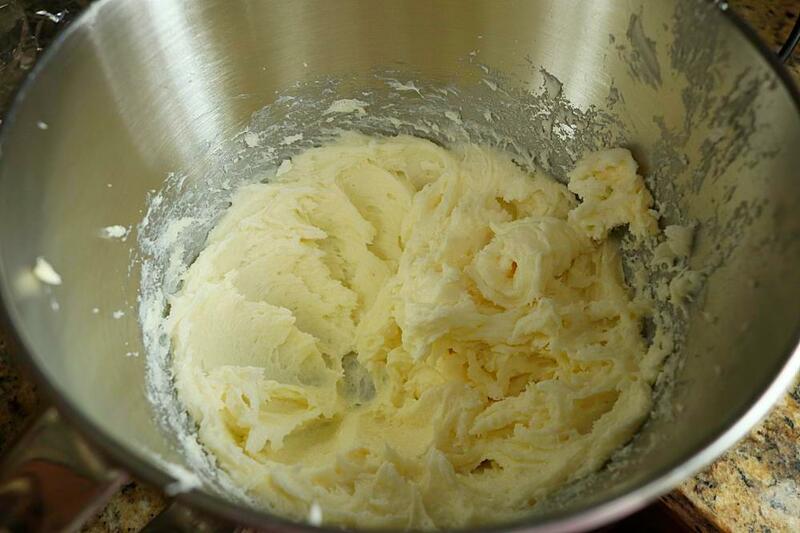 Add soften butter that is kept at room temperature for at least 30 – 40 minutes. These were the main reasons why your cookies went flat. In your microwave oven use the convection bake mode in which the bottom element is heated and bake @150 degree C. Hope that answers your query. hello, great recipe! i have one question though. how long to they keep for? thanks! Thanks Sophie!! Didn’t quite understand your question – if it was related to baking time – then bake them for 12-15 minutes. If it is related to cookies shell life – they will stay good for 2-3 weeks in an airtight container. I tried your recipe and its a hit!! cookies are delicious,crunchy and so coconutty wink emoticon I followed your recipe to the fullest but used whole wheat flour and depending on that had to use few more teaspoons of milk to knead dough. My kids can’t stop asking for more! Thanks again for sharing this recipe. Thanks for trying the recipe and sharing your wonderful feedback with me. It could be because of the oven temperature. I would suggest broiling the cookies for few seconds until desired color is attained. Broiling means heat from above and the default temperature is between 500 – 550 degree F (260 degree C). Hope that answers your query!! I will try this today, can you please tell me, in which rack(middle/lower) i should place the tray and the mode of the OTG(toast/bake). Thanks for stopping by Rums!! Place the baking tray in the middle rack and bake @ 150 degree C for 15 – 20 minutes or until light brown in color. Happy baking!! This is the first time I tried out your recipe and these cookies ..Oh my god! they turned out to be delicious… All my family and friends enjoyed them. Being a biiiiiig fan of coconut… This recipe was a must try for me… I just fell in love with them… Thank you for such a wonderful recipe. Can you please give ingredients measurements in grams, i.e. 1 cup = how many grams. Thanks for stopping by Jyoti. Preheat the OTG @ 150 degree C for 10 – 15 minutes and bake them at 150 degree C.
Hi Jyoti, I came across your webpage and the cookies look delicious. I was wondering can I add oats to this recipe and how can I make them soft and crispy? 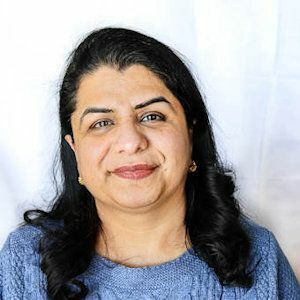 Welcome to the blog Swati!! If I am correct you are talking about baking these cookies in microwave convection oven. If using a microwave convection oven – Use a aluminum foil tray to bake cookies. Any oven safe bake ware like glassware or ceramic can be used to bake cookies. Bake on the lowest rack. Hope I have answered all your questions. Feel free to write back if you have any other queries. I’d like to try these biscuits. You list milk in the ingredients, but there’s no mention of it in the method! Do i need it or not? Thanks. Totally missed on that one. Sorry about that Alison, fixed it!! Thanks for pointing that out to me. Milk is required in the recipe. Happy Baking!! Hello, thank you for the great recipe. I did 1 batch yesterday & it turned out great. I wonder have you try to make it without sugar & replace with honey , if so how much to put in & will it be crunchy as your original recipe? Thanks for stopping by June. Honey indeed is a healthy substitute for sugar. Adding that to a recipe may require some changes and I have not tried that in this recipe. White sugar will make crisper cookies than honey. Hope that helps!! One of the recipe I baked and that came out perfect. I was peeping in my microwave oven for the whole time and thinking WHAT IF something went wrong, but they are delicious as they look on your site. My favorite recipe from now on. Tastes delicious when you dip it in tea and eat. Thanks Ruchi for sharing. Your picture style has amazed me, so much detail, thanks. It’s a great help. Tried these cookies and love it. kurkure and crispy. Just what I like. Thanks, very nice recipe. Thanks for the recipe. I tried and it came out just the way you have made it. Crispy from outside and soft from inside… it’s just perfect 😊 in fact I also added freshly grated coconut and it tasted even better. Thanks for your feedback Geeta! Glad you liked it! Great recipe. Made a large batch of cookies for my upcoming weekend reunion.Very tasty and soft and has a nice coco-nutty flavor. Amazingly put together blog and well displayed steps. Kudos to all your hard work girl! Made these cookies, prepared 200 of these and were amazingly delicious. They had a perfect crunch and a perfect inner softness. That’s what you look in a a cookie. Well designed and crafted website. Kudos to you and your team. This recipe was simple, quick, and the cookies are delicious.If you’re a coconut lover you’ve gotta try this!Crispy on the outside and chewy on the inside. Will make these again and again. What a recipe,followed step by step and amazing results.On to your next. Thanks for sharing! These cookies are delicious!! One of the best eggless recipes I have tried. They are also easy to make but you need to let the mix sit for a good 1 hour before rolling into cookie form, otherwise you’ll not be able to shape them, its all gooey. Thanks Ruchi enjoying these cookies with tea! !